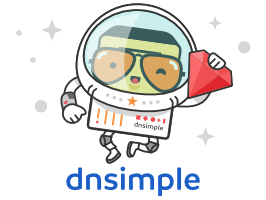 Automate Domains, DNS, and SSL Certificates Via DNSimple API — The DNSimple API Ruby client takes domain automation to the next level. Register domains, manage and monitor DNS records, issue free. Let's Encrypt SSL certificates, and get Webhooks for event notifications. Get started with our 3 part mini course. Support of Ruby 2.3 Has Ended — Doesn’t it feel like only yesterday that we entered the world of Ruby 2.0? Well, Ruby 2.3 has already reached end-of-life and 2.4 is only in security maintenance mode, so you want to be upgrading all production systems to 2.5 and 2.6 soon. Ruby’s Creed — Bozhidar takes issue with some of the proposed additions to Ruby (sounds like “pumbered narameters”) and their conflict with optimizing for programming happiness. The Status of Ruby Memory Trimming — Phusion’s Hongli Lai recently wrote about memory bloat and now he reflects on measurements made by other people and encourages you to get involved with testing for yourself. Why I Stuck with Windows for 6 Years While Developing Discourse — Discourse is a popular Ruby-based forum system and one of its lead developers reflects on the speed of its test suite (which appears to be incredibly slow on macOS). There are also some clear insights: Habits are hard to break and stop you from growing; don’t be afraid to experiment. Sr/Software Engineer - The Age of Privacy Is Here (SF Bay Area) — DataGrail helps customers offer transparency and control of personal data. Rails. Go. CI/CD. Modern stack. Ruby on Rails Developer at X-Team (Remote) — Join the most energizing community for developers. Work from anywhere with the world's leading brands. Learning by Building A Background Processing System in Ruby — If you’ve ever wondered how libraries like Sidekiq work, this article will take you pretty far down the path to making your own job processor. How to Access Production Data in Rails Migrations — This is one of those articles that presents the smart, well-thought-out way to perform a task we’ve all done. If you’re migrating data, do it this way. Rails 6 Adds ActiveRecord::Relation#reselect — This joins the rewhere and reorder methods as another way to change previously set attributes on queries or scopes. ▶ Rails 6's db:system:change Command — A new command in Rails 6 will make it a little easier to switch database systems. Here’s how it works. Moving On From Rails and What's Next — A long time committer to Ruby and Rails reluctantly says goodbye..I guess you could say he got Rusty.. Thanks for your work Sean! Ruby 2.4.6 Released — This is the final maintenance release of Ruby 2.4 and it’ll only be getting security fixes from here on out. Upgrade to Ruby 2.5 or 2.6 when you can. CanCanCan 3.0: The Authorization Library — The most used Ruby authorization framework has some breaking changes and solid new features (including Rails 6 support). can? :read, @you, this_post => true. Aws::Record: A Data Mapping Abstraction for Amazon DynamoDB — This is still baking, so now’s your chance to help them test it out and create the best API possible. still_life: Compare Rendered HTML Before and After App Updates — Billed as a “Rails upgrade’s best friend”, this tool is designed for comparing eventual HTML output of an app before and after a Rails upgrade, say. MerkleTree: A Binary Tree of One-Time Signatures — Wikipedia has more info on what merkle trees are, but they’re used in distributed systems like git, Bitcoin and Ethereum.